Grow your business, increase your web traffic – and make more money! Google AdWords is a Pay Per Click (PPC) search advertising program used by Google to allow you to put your business directly in front of potential clients and customers looking for the great products and services you provided. Statistics show that 84% of New Zealanders go online to research products and services before purchasing. Furthermore, 94% of them use Google, meaning an ad for your business on AdWords is a great way to get people’s attention! The beauty of AdWords is you only pay when someone clicks your ad. The danger is that unless your AdWords campaign is set up and managed well, you could be wasting a whole lot of money. We can put together a campaign plan to make your ads as effective as possible. We have a range of packages based on how much you’d like to spend and what you’d like to achieve. We’ll audit your campaigns to make sure your ad groups, advertisements and keywords are optimised to get you the most bang for your buck! We’ll help you grow your business, increase your traffic and make more sales. In June 2014 we received our official AdWords Certification from Google itself. According to Google, this makes us AdWords experts. That’s exciting for us because it means we’ve proven to Google that we know what we’re talking about when it comes to AdWords. It’s also exciting for you, because it means that when you use us to run your AdWords campaigns, you know you’re in safe hands. We’ll help you identify the keywords that match the services and products you offer, so your ads are only being shown to potential customers, and your money isn’t wasted on dead-ends. You probably have a range of services and products, and optimised AdGroups let you target the different people searching for your different products, offering you better value for money and more control. Things are always changing, so we don’t like to “set and forget”. We’ll keep a close eye on your campaigns to make sure everything’s always in order, and will always be refining your campaign to make your budget go further. We’ll manage your settings so your campaigns are constantly running at full strength. 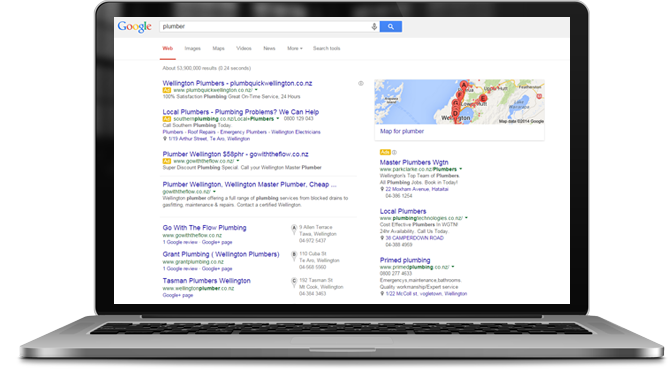 We’ll do things like add negative keywords, develop advertisement extensions and target ideal demographics. The words you use in your ads are so important, and it’s essential your ads are written perfectly to convert people into customers. We’ll create commanding ads to improve performance and get more clicks. You need to know how your budget is being spent, so you’ll receive a weekly update from us with the important facts and figures for your campaign, as well as a monthly report that goes into more depth. So you’ve already invested time and money into running an AdWords campagin for your business, but maybe you haven’t seen a return on your investment? If so, getting us to look over your AdWords campaign might be a good idea. We’ll go over every aspect of your campaigns, from the text in your ads and the keywords you’re using to your targeting settings and ad extensions. We’ll provide you with a complete list of recommendations that’ll get your account working for you, generating leads and getting you a return on your investment. Until the end of 2016 our audits are just $249 (+GST).